Like any comic reader, there are certain long-standing characters that I have never fully grasped. They have been around forever, can even be considered important, yet I have not read many of their stories. Doctor Fate falls into this category for me. Despite being created in 1940 and having several different people through the years assume the identity of the Doctor, I haven’t been overly familiar with this hero. This can be a good thing for casual readers, because you can enter a number one with a new main character with little to no expectations. This review constitutes a rookie Doctor Fate reader’s interpretation of this iteration. Paul Levitz, a DC veteran, starts us off in a flooding Brooklyn, replete with anthropomorphic animals, who help fill the reader in on what is behind the devious weather. Anubis, the jackal headed god of death in Egyptian lore, is flooding the earth, in order to cleanse it and reshape it in his image. Amun Ra, King of the gods, looks to crown a new champion, to defend the Earth from Anubis’ destructive swath, and his choice is recent college graduate Khalid Nelson. Khalid is half Egyptian himself, and understandably runs when offered the helmet of fate in a museum by a talking statue. As Khalid traverses the city, he is once again told of his destiny as the next Doctor Fate, this time by his cat Puck, a cleverly disguised Bastet, goddess of protection and love. Along the way, we meet the books supporting cast, including Khalid’s love interest and his mother, and get to see an unselfish act of everyday heroism from Khalid that cements his (ahem) fate. Levitz does a great job at jumping right in and getting to the heart of the setup. The dialogue by the various cats and jackals fill the reader in on what is happening, and despite being heavily influenced by Egyptian lore, which can be dense, it is quite clear who is who and what the stakes are. Khalid is mostly a reactionary character here, but enough about him has been exposed in this first issue, that I am confident he will be fleshed out more heavily as the series progresses. Sonny Liew’s art is a different choice, it almost felt more comic strip like to me than superhero comic book. As the story went on, and I became more engrossed, I began to appreciate the art style much more. It is not a traditional clean look, but more akin to the darker, rougher art used in Vertigo titles. Since Doctor Fate as a character has more in kind with Morpheus the Sandman than say Green Lantern, it is fitting. So, as we started, I cannot tell you how the die-hard Fate fans are going to take this new version. As a novice, I found it to be a complete first issue, in that it sets up situation and character very well, leading the reader to wanting the next installment, to learn more. 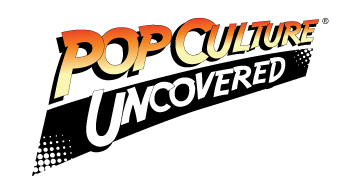 Post Convergence, DC has retooled their line, with some books staying close to their previous incarnations, and some not. 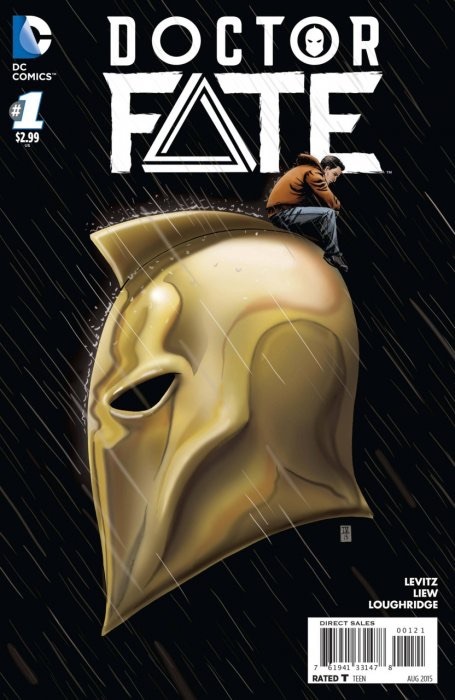 Doctor Fate is a book that lends itself to trying something different, as the character is known to change frequently. Levitz and Liew have done something different, and I urge you to check it out. Born and raised in Central Connecticut. Raised on the good stuff, such as Star Wars, Marvel G.I. Joe comics and a heaping spoonful of Saturday morning cartoons. Many years later, still sticking to the ways of younger life, to counteract the terror of adult existence.